Looks like a watch, acts like a smartwatch-these no-charge hybrid smartwatches feature built-in activity tracking, filtered notifications and multiple time zones. When a notification or alert arrives for a text, email or app update, a gentle buzz lets you know right away. This wrist essential is always on, always connected with a battery life up to six months (based on usage) and automatically syncs to your phone. 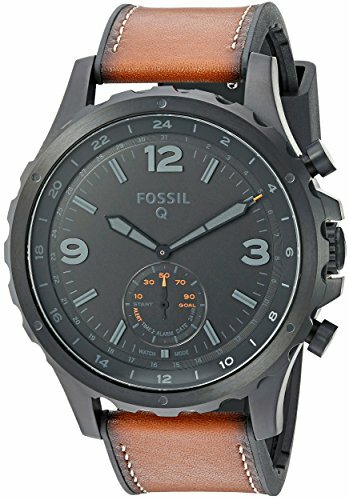 If you have any questions about this product by Fossil, contact us by completing and submitting the form below. If you are looking for a specif part number, please include it with your message.